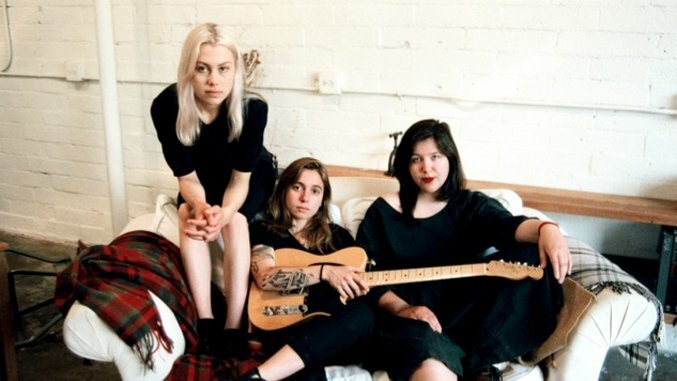 Boygenius, the indie-rock supergroup of Lucy Dacus, Phoebe Bridgers and Julien Baker, will make their TV debut with a performance on Late Night with Seth Meyers on Monday, Nov. 5, according to a tweet from Dacus. The performance comes shortly before the release of their self-titled debut EP, out Nov. 9 on Matador Records. Boygenius recently released three singles off the EP, “Stay Down,” “Me and My Dog” and “Bite the Hand,” along with an announcement that the three would be touring together this fall, performing both their individual solo works and possibly some Boygenius songs, although the latter is “a rumor [they] can’t yet confirm,” according to a recent press release. Find Paste’s coverage of the singles, along with a full list of the trio’s tour dates, right here. Check out Bridgers’ and Baker’s Paste Studio sessions below.